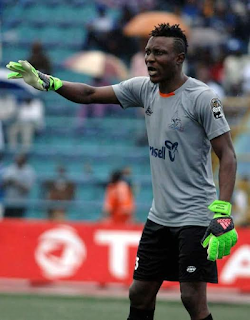 Originally signed as Rivers United’s third choice goalkeeper behind the evergreen Rotimi Sunday and Femi Thomas, Abiodun Akande’s heroics clearly confirms his new rating as the preferred goalkeeper. Thomas, the second choice goalkeeper was in goal in the penultimate match against Club Africain, but head coach, Stanley Eguma, opted for Akande in the must-win clash at FUS Rabat. Despite Friday’s defeat in the CAF Confederation Cup, at FUS Rabat, Akande’s performance clearly earned him the man-of-the-match award. At a time most of his teammates struggled to make an impact, Akande was clearly ahead of the pack with world class saves on match day. His confidence level reached an-all high index when he decided to go unconventional by to nodding a direct free-kick out of his area. With his performance in the continent, the goalkeeper could worm his way into the hearts of the Super Eagles coaches. 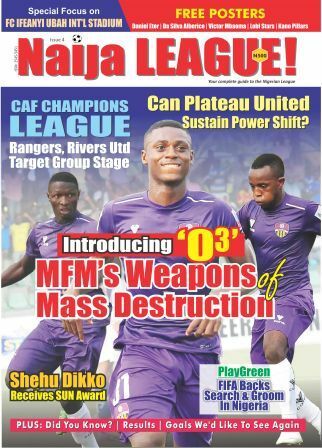 “Akande deserves to be considered by the Super Eagles coaches,” former Nigeria Professional Football League star and LMC Ambassador, Victor Ezeji said to naijaleaguez.com.ng. With the CHAN 2018 and Russia 2018 World Cup qualifiers looming, Akande is likely to be one the new players to be invited to camp. Akande’s progress illustrates the importance of hard work. Like his story at United, he joined the famous Shooting Stars as third choice goalkeeper and worked hard to make an impact. To underscore his importance at 3SC, he was made stand-in captain. From 3SC he moved to neighbouring Sunshine Stars and eventually made the switch to Rivers United, in the South South.